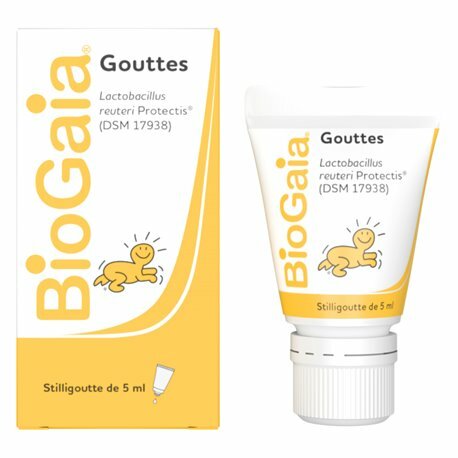 BioGaia drops of natural origin, strengthen and rebalance the good bacteria to relieve colic, constipation and diarrhea of infants. BioGaia drops are of natural origin , they strengthen and rebalance the good bacteria of the intestinal flora of young children . Colic, diarrhea and constipation are often the result of a fight between good and bad bacteria, showing that the bad have taken over the good bacteria. 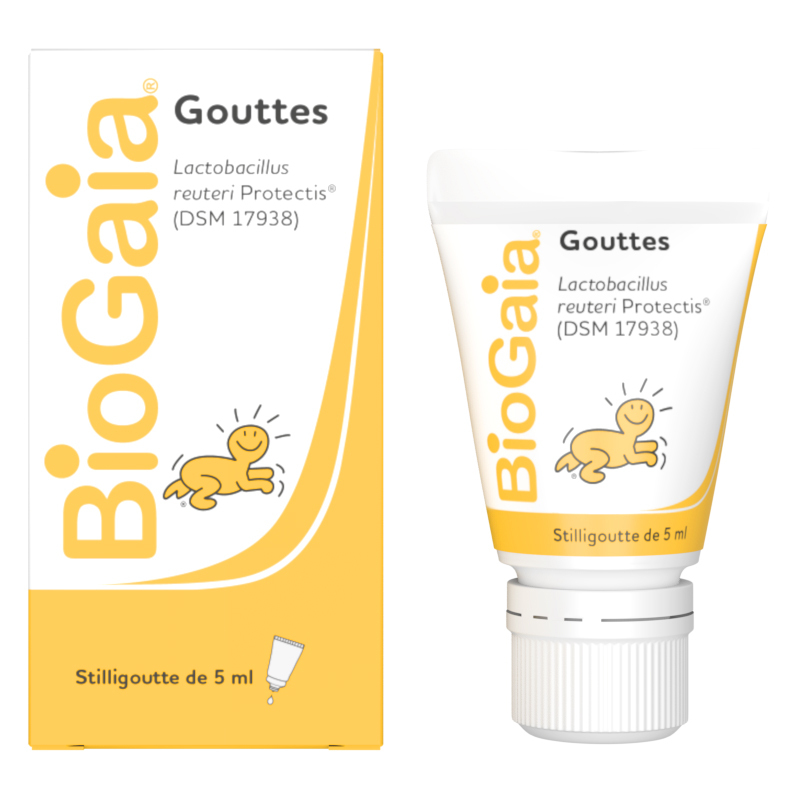 BIOGAIA Probiotic drops contains a Lactobacillus reuteri Protectis . 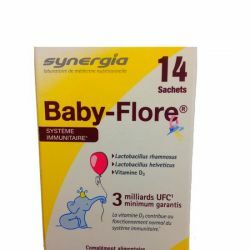 In which cases should Biogaia probiotics be used in infants? Activated ferments strain isolated from breast milk, Lactobacillus reuteri Protectis helps restore the balance of the intestinal flora of babies. 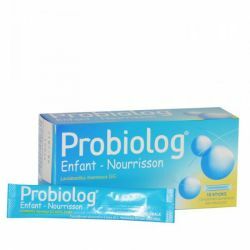 In infants and young children: this probiotic dietary supplement aims to relieve manifestations of infant colic, diarrhea and regurgitation. 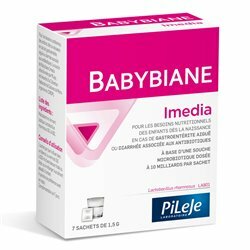 Colic and infant diarrhea (from birth) : 5 drops daily in a single dose, in a spoon or drink, in the management of gastrointestinal functional disorders in infants, children (infant colic, regurgitation, constipation, intestinal comfort) or when there is an imbalance in the gut microbiota, whether or not linked to the use of antibiotics. Do not take these drops with a hot drink or a hot food (> 37 ° C), because the active ferments would be deteriorated. BioGaia Probiotic Drops does not alter the flavor of the drink or diet. BioGaia Probiotic Drops can be used while breastfeeding. Sunflower oil. Medium chain triglyceride support. Lactobacillus reuteri Protectis (DSM 17938): at least 100 million CFU * / 5 drops. Anti-caking agent: silicon dioxide. * CFU = colony-forming unit. Keep out of reach of young children. Does not replace a varied diet. Respect the recommended dose. Store at 2 ° C - 8 ° C. At this temperature, BioGaia Probiotic Drops can be kept 4 weeks after opening. What infant milk give to baby when he has problems with digestion? Developed from the natural qualities of whole goat's milk, Capricare 1st Age is enriched to provide the vitamins, minerals and other nutrients required, in accordance with regulations, to be a substitute for breastfeeding. Capricare® infant formulas are made from the natural proteins of whole goat's milk that have the particularity of forming a porous curd in the baby's stomach. Capricare® 2nd Age and Capricare® Croissance are developed from dairy lipids from goat's milk combined with vegetable oils (sunflower and rapeseed). They do not contain palm oil. It is well known: there is nothing more beautiful than a little baby skin ! If the skin of babies makes us dream and arouse in us a certain nostalgia, it is nonetheless very fragile ... 1 in 5 children is concerned with atopic dermatitis , or atopic eczema : a skin barrier disorder that causes a extreme drought and itchy sensations. It is therefore very important to take care of it with gentleness and attention, we give you the keys for daily and natural pediatric skin care . How to take care of your baby and protect this fragile little thing? All our tips to pamper your child.